Sibling Stories by Lynne Stern Feiges. 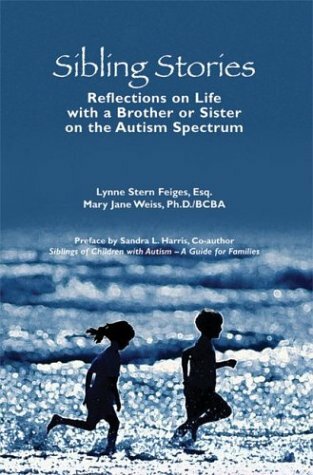 This book is reflections on life with a brother or sister on the autism spectrum. It is a unique opportunity to hear what it’s like to have a sibling with autism from the brothers’ and sisters’ perspective. It provides a mix of facts and experiences that will benefit both siblings and parents. Pp. 153.